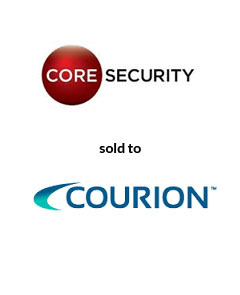 AGC Partners is pleased to announce that its client, Core Security Technologies, Inc., a leading provider of vulnerability management solutions, has been acquired by Courion Corporation. This acquisition extends Courion’s security portfolio by combining penetration testing and attack path assessment capabilities with Courion’s identity governance solution. With a team led by Maria Lewis Kussmaul and Eric Davis, AGC Partners acted as sole financial advisor to Core Security.